CarGurus has 596 nationwide fortwo listings starting at $2,650. The 2010 smart fortwo delivers amazing maneuverability, outstanding fuel efficiency, and surprising room in a memorable and miniscule package and at an affordable price. The 2010 fortwo's automated manual transmission is awkward, highway driving can be unpleasant (and perhaps a bit scary), and its size poses safety concerns. If you need a vehicle to dash around city centers and whip into parking spots too small for everyone else, the 2010 smart fortwo is a must-see. But if you spend a lot of time on the highway or have a history of accidents, you may want to look elsewhere. Admit it, even though they're no longer a novelty, you still take a second look at smart cars every time you spot one on the road. 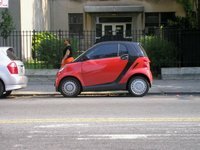 That’s because the miniscule smart vehicles with their impossibly small yet charming shape remain a unique sight, and the 2010 smart fortwo is no exception. This ultra-compact (and ultra-cute) economy two-seater is an ideal commuter car that was born to excel in urban settings. The fortwo may be out of its element when it comes to long highway road trips or high-speed collisions, but for daily commuting or non-stop around-town errands, it’s ideal. Smart, a division of Daimler and Mercedes-Benz, delivers three fortwo trims for 2010 – the base pure with manual windows and mirrors and no radio; the passion, which adds air conditioning, alloy wheels, power accessories, and an AM/FM/CD stereo; and the cabrio, a convertible with a power soft top and heated-glass rear window. They all come with a 1.0-liter, three-cylinder, rear-mounted engine and a five-speed automated manual transmission. The fortwo remains basically unchanged for 2010. The fortwo’s 1.0-liter, three-cylinder engine produces 71 horsepower and gets 33 city/41 highway mpg, the best mileage for any car in this class other than the Honda Civic Hybrid. Owners substantiate these mileage numbers, and some report even better economy from their fortwos. Smart does recommend using premium gas with the fortwo, which does cut into the savings owners will find at the pump. It can run on regular gas, just not as well. While its mileage is impressive, the fortwo's other drivetrain statistics are not, but does that really make a difference in a vehicle like this? The fortwo goes from 0-60 in 12.8 seconds and critics commonly complain about the vehicle’s sluggish nature. But ask yourself this – how fast do you really want to accelerate in a car this size when you’re traveling among SUVs and the like? While its lack of acceleration is both understandable and acceptable, the poor performance of the fortwo’s transmission is neither. Many testers feel the transmission is so ponderous and clumsy that they simply cannot recommend the vehicle. However, after a few hours behind the wheel of a fortwo, many began to understand the feel of the automated manual transmission and were able to quicken and smooth out shift throws by manipulating the gas in conjunction with the shifts. If you’re considering a fortwo, take it for a test drive and see how the transmission treats you before jumping to any conclusions. If you’re trying to navigate congested city streets or hunting for parking spaces in crowded shopping districts, there may not be a better vehicle than the fortwo. With its diminutive dimensions and accurate rack-and-pinion steering, the fortwo can squeeze in and out of traffic or work itself into a curbside opening that most on the road wouldn’t even consider a parking spot. And the fortwo may produce only 71 horsepower, but it has enough power to get off the line quickly and dart about crowded urban streets. If you spend a great deal of time on the highway, however, you may want to consider an alternative vehicle. Yes, the fortwo gets great gas mileage, but it reacts poorly to road imperfections at high speeds, its acceleration is lacking when it comes to passing or merging at highway speeds, wind noise is intrusive at high speeds, high winds can blow the car off course, and it can be disturbing to all but the most courageous to pilot a tiny fortwo among the armadas of trucks that roam the highways. But if you must travel on the highway in your fortwo, it can reach 90 mph if necessary, and it may be necessary just to see the looks on the faces of drivers you pass. It’s not quite ready to hold 20 clowns, but you will likely be amazed at the amount of room inside the fortwo. Its front seats offer 45.4 cubic feet of passenger space, which translates into ample leg- and headroom for driver and passenger alike, even if they are over 6 feet tall. The seats are comfortable and supportive with sturdy side bolstering. The fortwo's upright driving position makes sure you don’t feel like an ant riding among elephants when in traffic, and it provides excellent sight lines in all directions. The cabin has a pleasant, ergonomic design and is well built. The gauges are easy to see, the switches and knobs have a quality feel, and the materials are solid. There are few padded surfaces, however, and an abundance of plastics and hard material, which give a low-cost air to the interior. 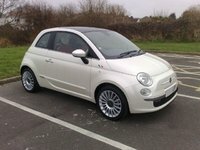 But don’t forget, this is a compact economy car. Its cloth trim is available with a variety of colors and patterns, which adds even more life and style to the already perky fortwo. The base pure trim comes with few standard features – power locks, a leather-wrapped steering wheel, and a radio-ready console are the highlights. The passion trim's upgrades include air conditioning, power windows, power and heated mirrors, and an AM/FM/CD stereo. The cabrio trim shares features with the passion and adds a convertible roof, which can be adjusted while the car is moving at any speed. With a car this size, safety is an obvious concern. The fortwo comes standard with four airbags, an antilock braking system with electronic brakeforce distribution, an electronic stability program, and a specially engineered safety cage designed to disperse crash forces away from the car’s occupants. In federal government testing, the fortwo received four of five stars for driver safety in a front-end crash, three stars for passenger safety in a front-end crash test, and five stars for passenger safety in a side-impact crash. The fortwo received a top score of Good in side-impact and front-end crash tests conducted by the Insurance Institute for Highway Safety, but those results come with an asterisk. Both the government and IIHS tests reproduce crashes involving cars of the same size. Since the fortwo is the smallest car on the road, those tests are flawed. So the IIHS pitted a fortwo against a Mercedes Benz C-Class, and the results were eye-opening. The fortwo went airborne, spun more than 360 degrees, and its cabin was severely compromised. This proves the intuitive understanding that small cars can be dangerous and should be driven with great caution. Owners seem mixed on their fortwos. Some rave about the car, praising its maneuverability, efficiency, surprising room, and style. Most of the positive reviews came from owners who drive their fortwos in cities, but one owner said he drove through the long upstate New York winter without any difficulty. There were some complaints about mileage not living up to the advertised statistics and a few grumbles about the transmission as well. All owners agree on one thing: Be prepared for lots of second looks and lots of questions. If you don’t want people talking or asking about your car, don’t buy a fortwo. What's your take on the 2010 smart fortwo? Geoff To get rid of the wind noise I’ve mounted something called a Backblade wind deflector on mine. Now my cockpit is not just super tranquil, but I also stay fresh without any beat up feeling even after a long top down cruise. Jane Yeah Backblade windscreen is what I’ve affixed on my ride too. Now there’s hardly any trace of wind noise and turbulence on my ride. 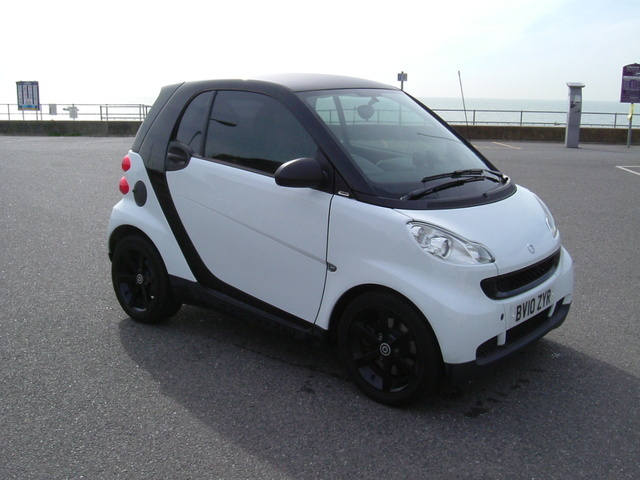 Have you driven a 2010 smart fortwo?